Entrepreneur turned mom, turned small business owner; who says you can’t do it all? 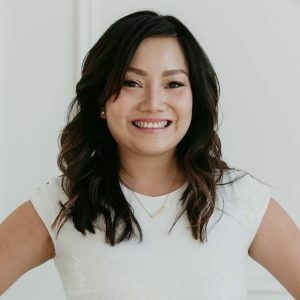 Meet Wendy Huynh, Professional Lash and Makeup Artist, an Elleebana Educator, a Beautycounter Consultant and Elite Mompreneur and Mamas & Co. member. Wendy started her beauty career back in 2000 as a Professional Makeup Artist. Her extensive makeup work introduced her to a variety of women who all had the same request: longer, fuller, thicker lashes, on a daily basis, and Wendy listened. With almost two decades in the beauty industry, she began studying the art of Lash Extensions. Knowing that the health and safety of her clients is of utmost importance, Wendy chose to study with lash extension leaders in the industry. And with that, in 2010, Wendy became a Professional Lash Artist. It was at that point that she chose to focus exclusively on eyelash extensions. She set a personal goal to provide semi-permanent lash and brow services to help busy women save time so that they can focus on more important things like family life. The lash journey for Wendy had just begun and it took her throughout top salons and spas in Toronto, where she was able to fulfill not only her goal, but the lash dreams of many women. 2016 proved to be a busy and successful year for Wendy. It started with becoming a member of the World Association of Lash Artistry & Development (WALAD) and ended with the opening of Beauty Babe Lounge located in the heart of Midtown Toronto. But her entrepreneurialism didn’t stop there! Knowledge is power and having the ability to deliver only the best products and services to her clients gives Wendy an edge in the industry that is bar none. She continues to expand her knowledge in the lash industry and plans to continue learning and training with industry’s best. On her spare time she likes to have mother daughter dates with her toddler Victoria, and volunteers for the Look Good Feel Better workshop at the Princess Margaret Cancer Centre.